This work constitutes the first attempt to extract the important narrative structure, the 3-Act storytelling paradigm in film. Widely prevalent in the domain of film, it forms the foundation and framework in which a film can be made to function as an effective tool for story telling, and its extraction is a vital step in automatic content management for film data. The identification of act boundaries allows for structuralizing film at a level far higher than existing segmentation frameworks, which include shot detection and scene identification, and provides a basis for inferences about the semantic content of dramatic events in film. A novel act boundary likelihood function for Act 1 and 2 is derived using a Bayesian formulation under guidance from film grammar, tested under many configurations and the results are reported for experiments involving 25 full-length movies. 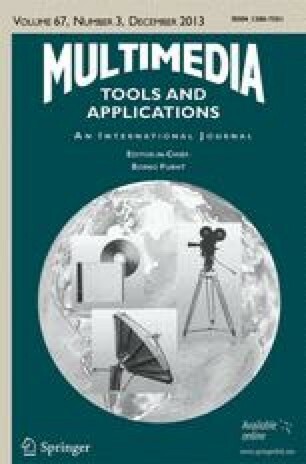 The result proves to be a useful tool in both the automatic and semi-interactive setting for semantic analysis of film, with potential application to analogues occuring in many other domains, including news, training video, sitcoms. IBM, “Made to Order: IBM makes sense of unstructured data,” 2002, http://www.research.ibm.com/thinkresearch/pages/2002/20020308_unstructured.shtml.